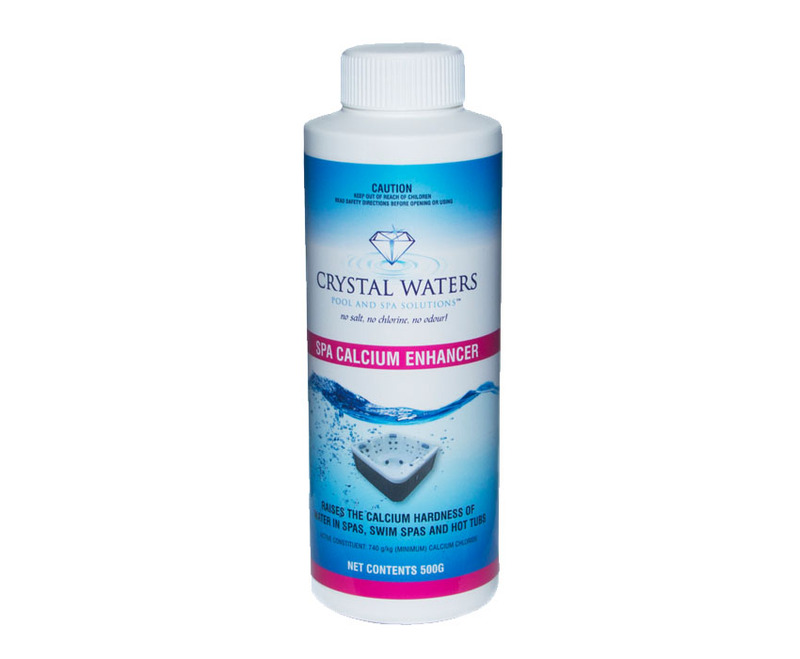 Crystal Waters Spa Calcium Enhancer is used to raise the Calcium Hardness level in your water. This can be known as Calcium, or Total Hardness. Water low on calcium can draw it out of other metals in your spa, corroding the equipment, and provide an environment favourable to algal growth. This 500g variety is available in our Start Up Kit. 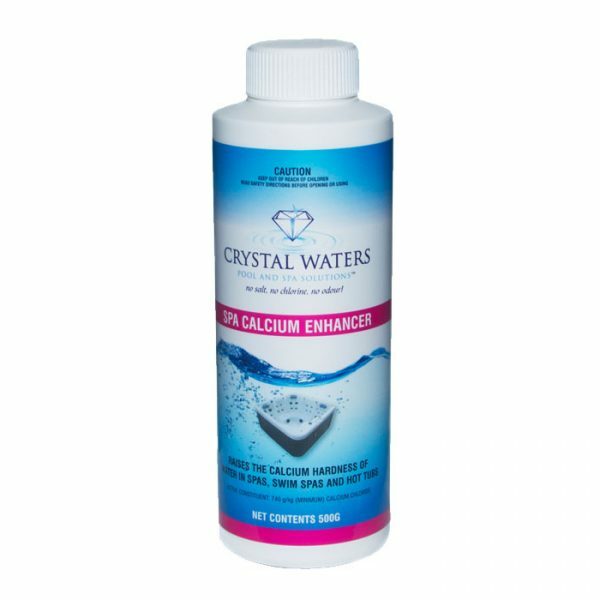 Dosage: To raise Calcium Hardness by 10ppm, add 10g per 1000L.